The centre of Oslo today... soldiers with guns, guarding the area where the bomb exploded yesterday, killing 7 and injuring many more. People have been visiting the area during the day, bringing flowers and candles. Some are at tears, others just walk by and try to comprehend the horrible events that has struck Norway so hard. At Utøya, a small island in the fjord Tyrifjorden, about 50 km south of Oslo, the police and other helpers have started to bring back the bodies of all the young ones who were massacred yesterday. So far 85 are confirmed dead, and 4 or 5 are still missing. Many others are injured, some of them severly. We don't know yet how high the death numbers will be. Norway is a small nation, we aren't many people here. Just to compare; per capita Norway has lost more than twice as many as the US did during 9/11. We are all touched, we are all mourning and we will never be the same. We receive heart warming support and concern from all over the world, and I know this means a lot to me and others. Thank you, to all who care! What an incredible tragedy. I can't believe it's true! My thoughts, my prayers are still with You. Oslo, where live my family, my friends will be always in my heart. Thank you so much, Fio! ♥ I hope your friends and family are all okay! Yes, they are OK, furtunately. I was in Oslo many times, and I always told my friends in Poland - this is one of the most beautiful and one of the safest place to live! I give my condolences to all the Norwegian people. I have no words to add to the horror that you have lived. I'm speechless. Mood. I was and still am in shock over this news. When terror strikes it strikes us all in our hearts. My thoughts are will all of you during this time. I care. All the way down here, I care. And I understand the magnitude of the impact more, when you relate it per capita to the NYC towers. 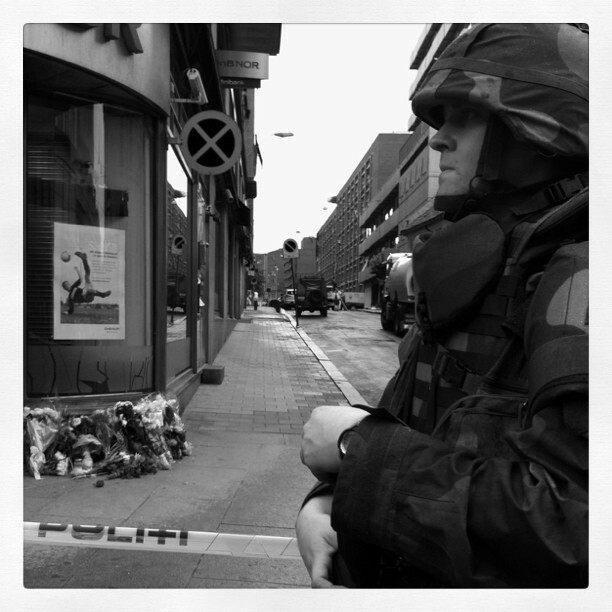 Our thoughts are in Canada are with Oslo and Norway. So sorry, on Sunday in Helsinki we had flags at half mast for Norway. Flags everywhere. Thank you all so much for your caring messages! :S Would those people ever stop existing? I hope they do.